Key Difference: ASPCA is one of the oldest animal welfare organization, established in 1866. HSUS is one of the largest non-profit organization that is mostly works for advocating animal rights. There are many animal rights and welfare groups that have risen to protect the animals from harm, cruelty and pain. These organizations and groups operate on different levels: international, national and local. Groups such as PETA operate on international levels, while SPCAs and HSUS operate on national levels and local shelters work on a local level. However, many of these organizations cross levels and provide support for running local shelters. ASPCA (American Society for the Prevention of Cruelty to Animals) and HSUS (Humane Society of the United States) are two different types of groups. 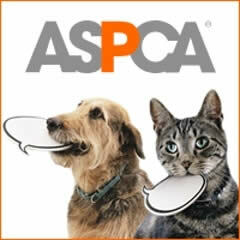 ASPCA is an animal welfare group, while HSUS is an animal rights group. The American Society for the Prevention of Cruelty to Animals (ASPCA) is one of the oldest organization that was established in 1866 in New York City, with the motto of providing a voice to the animals. The organization’s mission is "to provide effective means for the prevention of cruelty to animals throughout the United States." ASPCA works with many shelters across the country to rescue and protect many animals. Additionally, the organization is also responsible for passing humane laws and in some states is also responsible for punishing law breakers. ASPCA fights for the welfare of the animals and believes that animals should not be treated with cruelty; however, they don’t disapprove people using animals as food, rather they just being mistreated. 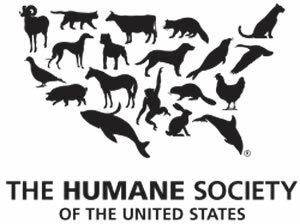 The Humane Society of the United States (HSUS) is one of the largest non-profit organization that is mostly works for advocating animal rights. It was founded in 1954 in Washington D.C., to change the policies about treatment of animals. The organization makes it clear that it does not oppose all use of animals and only opposes the bad treatment of animals. Hence, the HSUS classifies itself as animal right activists, as it supports animal rights. The HSUS does not run local shelters or oversee local animal care and control agencies, but promotes best practice and provides assistance to shelters and sheltering programs and it has allotted 1% of its budget for local shelters. The organization works on a broad range of animal protection issues, including those affecting companion animals, wildlife, farm animals, horses and other equines, and animals used in research, testing and education. The differences between an animal welfare group and an animal rights group lie in their beliefs and how they operate. Most of the animal rights groups focus directly on changing policies in a huge way, while welfare groups believe working on a small as well as a large scale. Rights groups such as HSUS do not run local shelters, but rather lobby directly to change welfare laws and policies regarding animals and their treatment. However, ASPCA has local shelters that operate in all major cities and provides services such as medical care, food, shelters, etc.